Silverton’s Greene Street, once a strong Union town photo via The Denver Public Library. 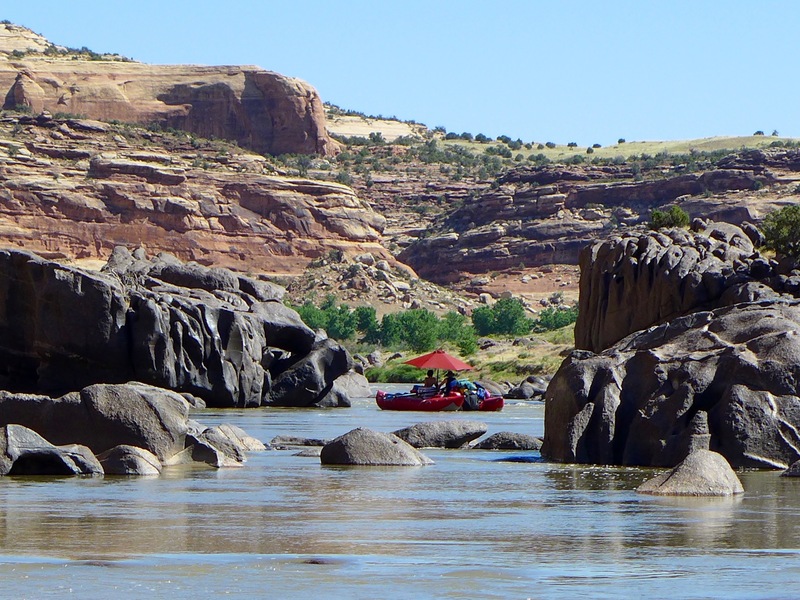 The program for the 2018 Upper Colorado River Basin Water Forum: Bridging Science, Policy and Practice, Nov 7-8 at CMU in Grand Junction, continues to fill in. Check it out and register here! Sponsorship opportunities are also available. The Dolores River, below Slickrock, and above Bedrock. Photo: Brent Gardner-Smith/Aspen Journalism. A view of the Dolores River below Slickrock. August 16, 2017: Colorado ParksWildlife and John Sanderson found imperiled bluehead sucker fry on Dolores River — a hopeful sign. San Miguel River from CO 141. Ponderosa Gorge, Dolores River. Photo credit RiverSearch.com. Dolores River Campground September 2016. Over the decades, Doug experienced firsthand the steady, relentless creep of invasive plant species like tamarisk and Russian olive and its impact on the land he has cared for his whole life. The damage has been extensive, threatening the larger riparian—or river bank—habitat that in the Colorado River Basin ultimately supports more than 40 million lives across two nations. As the unwelcome vegetation pressed in on essential farmland and fish and wildlife habitat, Doug and many others in the region understood it was time to lock arms and push back. Originally conceptualized in 1999 to discuss strategies for addressing invasive plant species along rivers in western Colorado, the then-named Tamarisk Coalition was fueled by a desire to shape a landscape-scale solution. The group had observed that conventional site-by-site eradication simply wasn’t able to move quickly enough. The introduction of the tamarisk is a story of unintended consequences. Long thought to prevent erosion along the banks of western rivers, its presence was so valued in earlier days that Boy Scouts would receive badges for planting it. But the persistent shrub with scale-like leaves took to its adopted habitat like a parasite, displacing native vegetation. Restoring and sustaining the overall health of the Colorado River Basin has been a primary goal of the Walton Family Foundation’s Environment Program since its inception nearly a decade ago. And, the program’s first grant to the Tamarisk Coalition in 2009 supported its restoration efforts along the San Miguel and Dolores river systems. Gradually, the foundation expanded its support to also include work along the Escalante, Verde and Gila systems. “We have a great relationship with the foundation where we present innovative ideas, and they help us scale up these efforts. The investment affects a vast landscape, bolsters our work and has helped us promote best practices to other organizations,” says Cara Kukuraitis, outreach and education coordinator for the organization now known as RiversEdge West. The organization changed its name in 2018 to reflect its broader work in Western riparian areas and the surrounding communities. But it retains its unique and core operating model—to facilitate collaboration and information-sharing across diverse groups and individuals to accomplish riparian restoration at a larger scale than any one partner can attain on its own. As a result, RiversEdge West now supports 20 ambitious multi-stakeholder partnerships encompassing federal, state, and community organizations throughout the American West, teaching best practices to over 300 local public and private restoration organizations and successfully restoring some 11,500 acres—and counting—of riparian habitat. The state of Colorado is among the group’s core partners. “Our relationship with RiversEdge West has allowed Colorado Parks and Wildlife to more effectively meet our mission of improving the wildlife habitat within the state,” explains Peter Firmin, manager of the James M. Robb-Colorado River State Park. The work of RiversEdge West and its growing network is bolstered by an array of technical tools. For example, a multi-partner geodatabase stores and shares data with land managers, so they can see how their projects connect and positively impact the landscape over time. “The data helps us establish and measure progress against quantitative goals, so the project can jump from removing tamarisk by just cutting trees to collecting data on the extent of the problem and promoting ways to encourage the ecosystem’s overall health,” says Cara. It is a testament to the organization’s enduring value that its annual conference attracts upwards of 200 representatives from Colorado, Arizona, Nevada, New Mexico, California, Texas, Kansas, Oklahoma, Utah and Mexico to connect on riparian restoration science. The organization also is working to convey the broad importance of these efforts through its ongoing “Riverside Stories” web series, which tells the personal stories of people who call this land home and are working to restore this habitat for future generations. Among them is Doug and his family. “I have a theory that we should leave the land better than how we got it,” Doug notes in sharing his story. “The Colorado River is soon going to be the most important resource in the West. We are just caretakers. You are only going to be here 50-60 years, and then somebody else is going to have this land. Join us September 21-23, 2018 on Grand Mesa in Western Colorado. Spend a September weekend in the aspens on western Colorado’s Grand Mesa learning about water management, snow science and aquatic ecosystems with college students from across the state! A registration fee of $20 covers lodging in cabins at Vega Lodge as well as some meals. 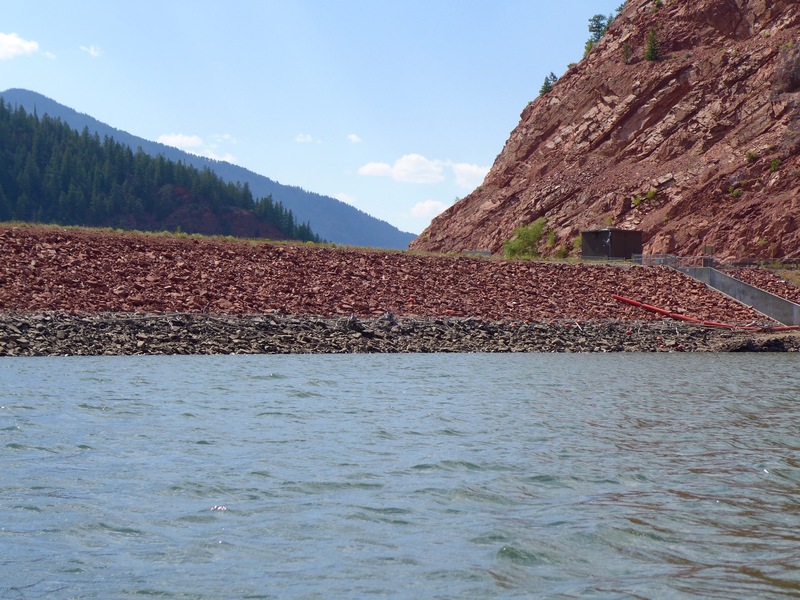 The release from Ruedi will be increased Tuesday morning by approximately 45 cfs. After this change, the flow at the Fryingpan River gage below Ruedi Reservoir will increase from 178 cfs to approximately 223 cfs. This flow increase was requested by the USFWS to support fish recovery efforts in the 15-Mile reach of the Colorado River. This release rate will continue until further notice.